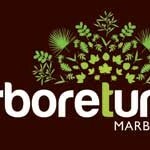 Coinciding with the United Nation’s International Year of the Forest, Marbella has joined in the spirit of the occasion to launch Arboretum Marbella, a living green space with environmental resources that will teach visitors about sustainable land management and how to live more ecologically. This year has been declared the International Year of Forests by the UN General Assembly (Res/61/193, 20 December 2006). Modern humanity has maintained an exploitative relationship with the planet, but now we need to aspire to a more symbiotic relationship. The market economy does not value living forests, but instead values the profits that lead to their destruction. ResponsARBOLidad’ is not a new term from the Royal Spanish Academy, nor does it even appear in their dictionary. But it does exist and is a term that has a 10 year history. If we say responsARBOLidad, we are saying one thing: ACTION. Trees – a recession proof investment! Robert F. Kennedy Jr. and Daryl Hannah were in Cáceres recently calling for more trees to combat climate change “It has been a long time since I saw such collective energy as I have seen here during these past few days,” they confessed shortly before leaving Cáceres, last month. After three days of intense exchanges of views and experiences, projects and proposals, conferences, roundtables, book presentations and cultural experiences. There were many moments of hope, satisfaction and joy shared, and always with the tree at the heart of the meeting.